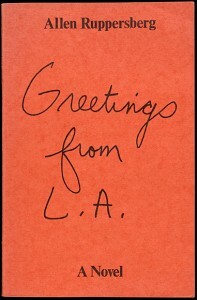 Beginning in the 1960s, select Los Angeles artists began to mimic the look and feel of commercial marketing strategies by treating viewers as consumers. 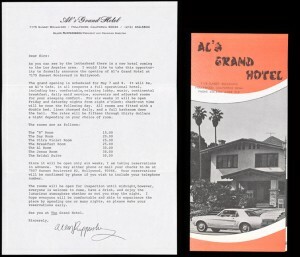 Allen Ruppersberg ran Al’s Grand Hotel, an art project that doubled as a fully-functional hotel, located at 7175 Sunset Boulevard in Hollywood, for a little over a month in 1971. Individual rooms in the two-story craftsman-style house in Hollywood were redecorated in various styles, such as the Jesus Room and the Bridal Suite. The hotel also hosted Saturday evening concerts by artists such as Ruppersberg’s friend and fellow Chouinard alum, Terry Allen. 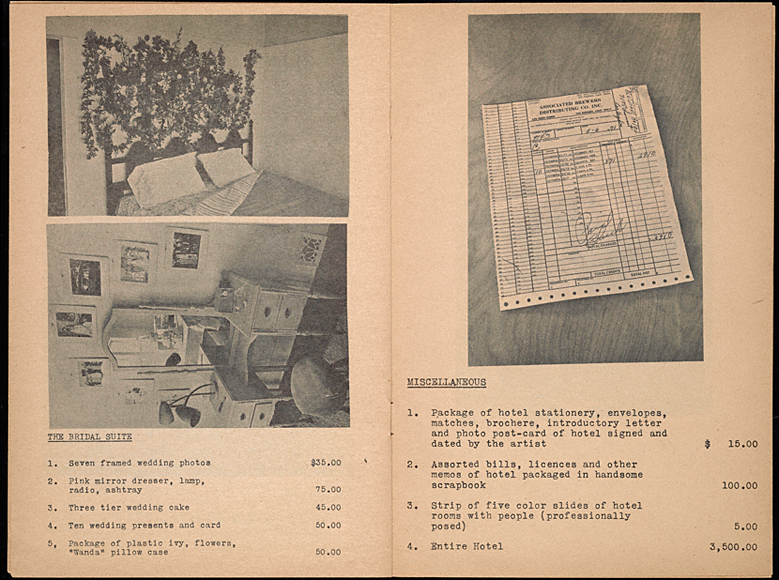 Exhibition audio: Curator John Tain discusses Ruppersberg’s work.